I don’t remember it myself, but my birth certificate tells me I entered this world in 1978. That makes me, Laurin Emily Taylor, 35 ½. My mental age on the other hand clocks in somewhere around 80. I like early nights and stern disapproval and I’m counting the days until my physical age (and bank balance) allows me to genuinely rock a Chanel suit. I plan to wear it on hot summer days with red lips and a sneer as I sit on my front porch shaking my well-manicured fist at the neighbourhood urchins and screaming, “GET OFF MY LAWN!” until my manservant Raoul rushes out of the house to place a cool cloth on my fevered brow and lead me gently indoors for my afternoon repose (I’ve thought this through – it’s essential to have a retirement plan, ladies). Back here on planet Earth in the year 2014, my 9-5 often demands my presence in a kitchen, where the rigours of the job take mercy on no woman’s nails. I love the polished look of nail varnish and lipstick, but it all seems like such a faff when you know your manicure will only look great for 24 hours, tops. My one attempt at gel ended with most of my nail bed sitting in a pile on my carpet after I gave in to the urge to pick at a chip. What I long for is a forgiving nail varnish that goes on easily, dries quickly and doesn’t take require a professional to remove. 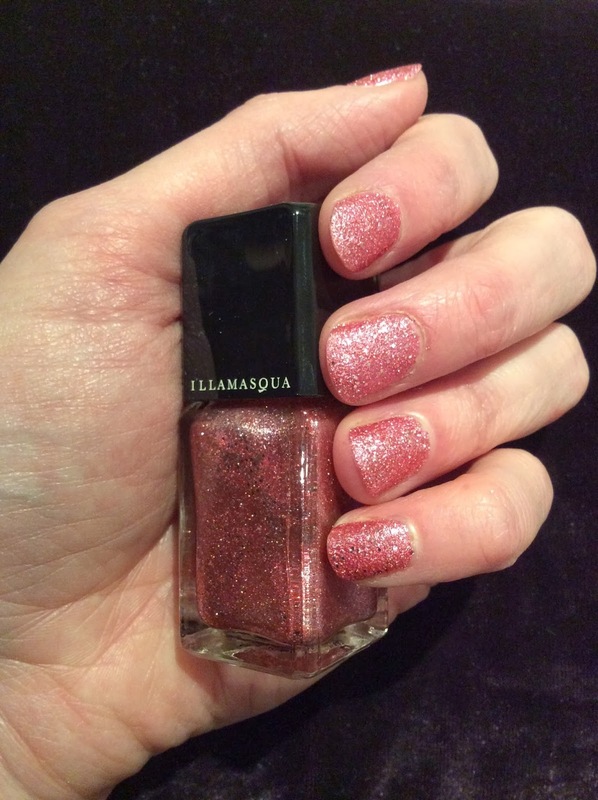 Enter the Illamasqua Glamore Collection, three brand new shades of ultra-dense, highly textured glitter nail varnishes and complimentary shades of satin-finish lipstick. I spent the week road testing two of the varnish shades: Fire Rose, a disco-flamingo shade of pink, and Trilliant, a champagne gold with the slightest tint of rose. 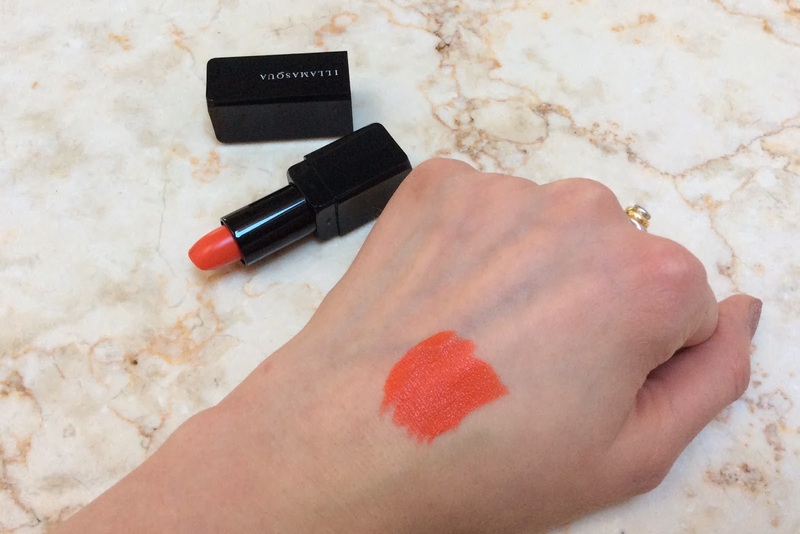 There is also a juicy tangerine, Marquise, which I suspect would be brilliant for poolside lounging this summer. If you’re a bit cack-handed AND impatient, these are brilliant. The glitter particles are rough and chunky enough that they easily disguise a less-than-perfect application technique, and they are so dense that one coat does the trick. Even better, they are completely dry after 15 minutes, so you can get on with zesting lemons for your martini or sticking pins into voodoo dolls or whatever it is you like to do on Tuesday nights (don’t try picking a piece of Parma ham out of your back tooth with your index finger, though – this is may cause damage to your new manicure. Or so I hear). Of course my future self would never leave the house without a slick of bold lipstick, and the Glamore collection has that covered as well. The three shades of satin finish lipstick are designed to complement (but not match exactly) the nail varnishes. 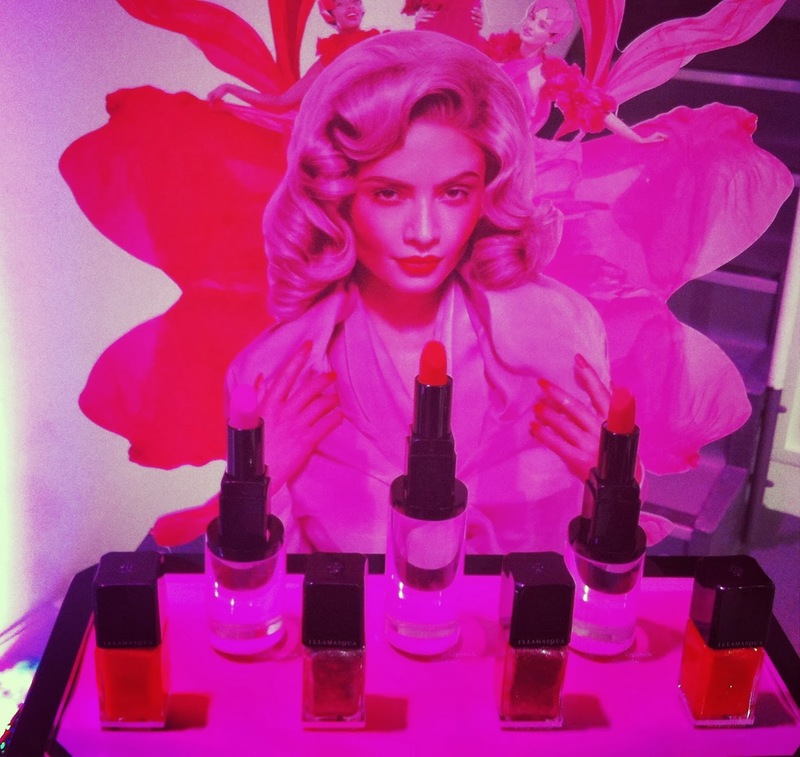 Satin finish is new territory for Illamasqua, who are known for their dramatic matte lipsticks. I’ve spent the week trialling Soaked, a bold orange and Luster, a shocking candy pink (there is also Glissade, a deep fuchsia). 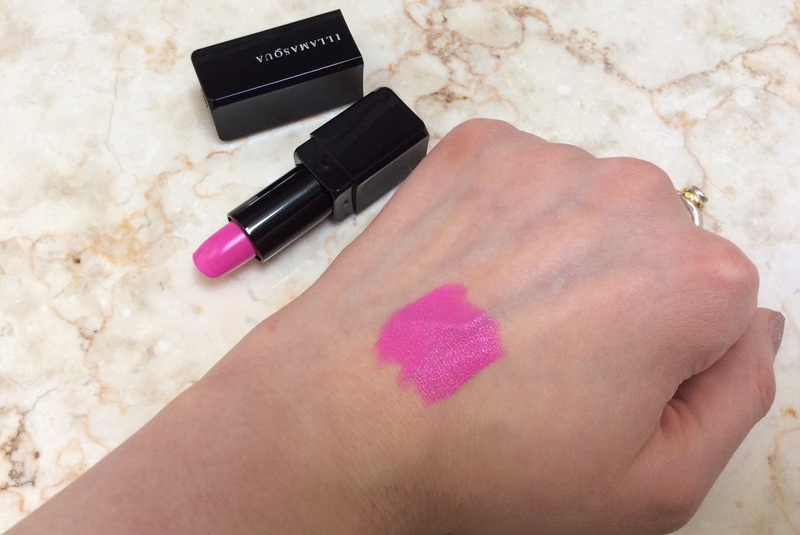 As you would expect, these are high-pigment, statement making colours, but they both feel soft and moisturising on my lips. My only quibble is with the packaging. It’s perfectly serviceable, but for £16.50 a pop, I’d like something a bit more weighty and less plastic. 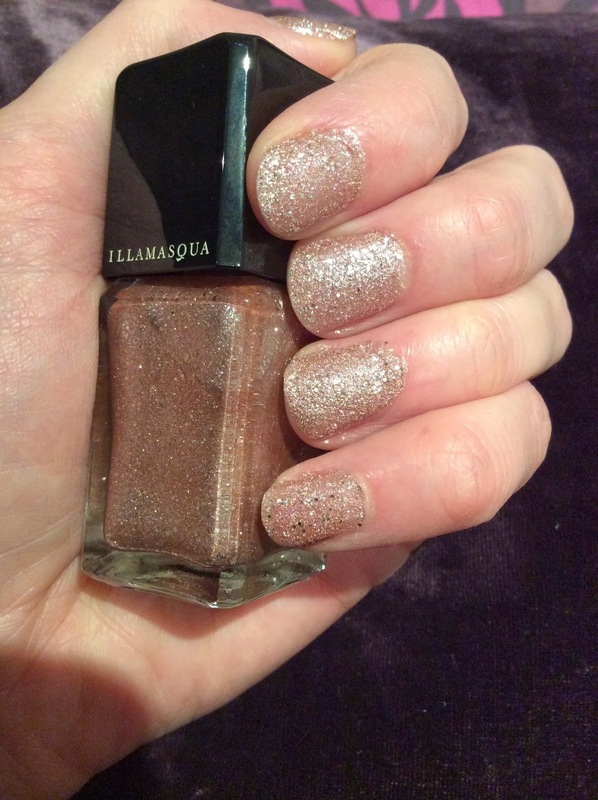 If you’re already an Illamasqua fan, the Glamore collection will no doubt be right up your street. But if like me, you’ve always hung back around the Bobbi Brown counter with all the flattering neutrals, the nail varnishes are a great way to join the brights party without frightening the horses, and the finish of the glitter is rough and edgy enough that you needn’t worry you’ll look like a five year old who’s just been let loose in Claire’s Accessories. As for the lipsticks, the shock of bold colour in the middle of my face is going to take some getting used to. But I think I’m well on my way to being a lipstick lover. I have to be. My future self will accept no less. The Illamasqua Glamore Collection launches in store on February 27th. Nail varnishes Fire Rose, Trilliant and Marquise are £15 each. Lipsticks Soaked, Luster and Glissade are £16.50 each. The fine print: PR samples.